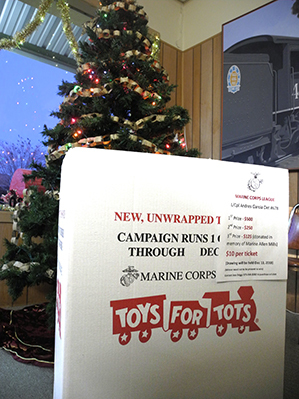 A Toys for Tots donation box placed by the Marine Corps League sits waiting at the Daily Press office, 503 W. Main St., for donations of new, unwrapped toys. The toys will be distributed to local children in need to ensure everyone has a happy holiday. Drop off toys at the Daily Press from 7:30 a.m. – 4 p.m. weekdays.